As I stood back to examine my work, I couldn’t help but feel actually excited for Christmas. I wondered, what is it about putting up the tree that made me feel like a kid again? 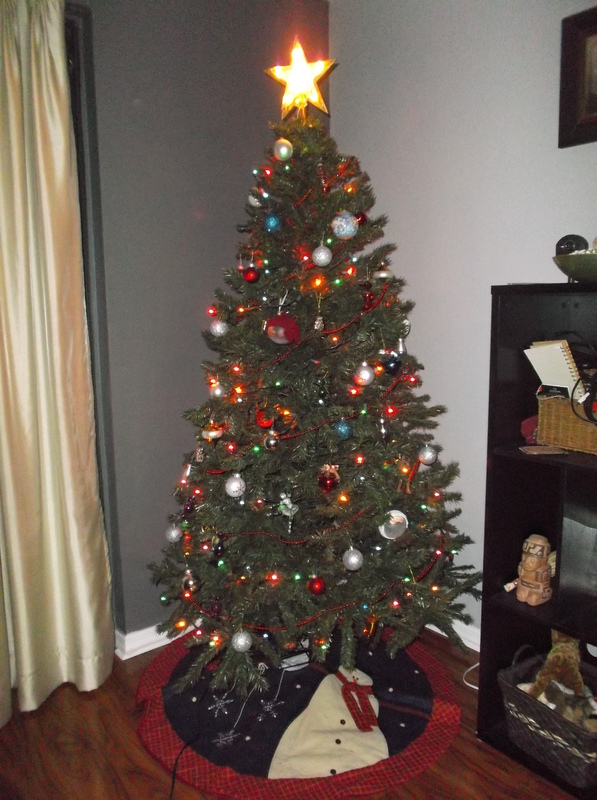 Seriously, it has been years since I’ve decorated a Christmas tree. Maybe it reminded me of those long ago nights being curled up next to my dad as we watched The Muppets Christmas Carol or waking up to snow outside my window and the smell of pancakes coming from the kitchen. It’s been a while since I’ve gotten bit with the holiday spirit. I’m usually that person come holiday time who says “It doesn’t feel like Christmas” or “It felt more like Christmas last year.” I think my growing excitement is due to my niece and this being her first Christmas. Seeing her little face light up at the sight of our Christmas tree makes my heart ache a little bit – but in a good way. So happy holidays everybody! And keep in mind to never lose that child-like wonder that exists within each and every one of us, no matter how old we are.